It’s beginning to become something of a tradition for independent record label Robotic Empire to reveal a new Nirvana tribute album on Record Store Day, an annual affair observed the third Saturday of April to promote the culture of traditional record stores. 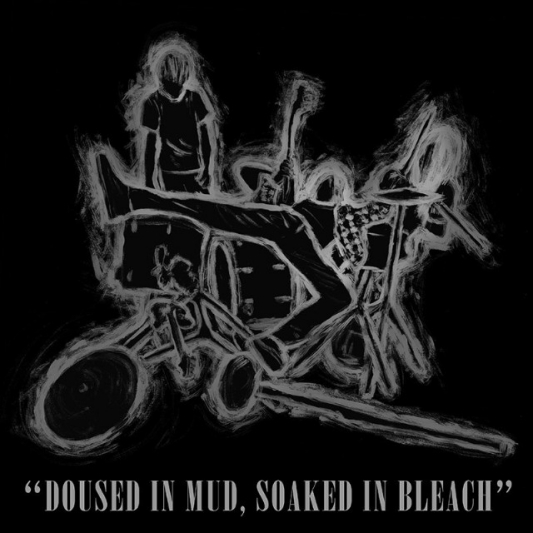 The label’s expanding portfolio of Nirvana tributes includes modern takes on In Utero and Nevermind, and on April 16, will add debut album Bleach. Titled Doused In Mud, Soaked In Bleach, the record will include music from a handful of alternative bands such as Beach Slang, Rob Crow’s Gloomy Place, Thou, Defeater, Basement, Daughters, This Will Destroy You, The Saddest Landscape, Mean Jeans, Young Widows among others. The cover art has been finalized and can be viewed below. No. It’s hard to explain but in my mind “Love Buzz” is a Nirvana song. It’s one of the first songs that I obsessed over when I was 14 years old and was learning to play guitar. At the time, I thought Nirvana wrote it. It just fit so well with the rest of the record. Their energy was so special that they could make any song they played sound like it was theirs. To me, “Man Who Sold The World” and “Where Did You Sleep Last Night” became Nirvana songs because they were the versions that were driven into my brain over and over as a teenager. I didn’t need to listen to the originals when the band who was making me believe in music had their own amazing version for me to listen to. It’s comes as little surprise to fans that Circa Survive is at ease performing Nirvana’s music; lead singer Anthony Green has sited Nirvana as one of the band’s biggest influences. “Love Buzz” will be the third Circa contribution to a Robotic Empire tribute to Kurt Cobain’s triumvirate: the group recorded “Scentless Apprentice” in 2014 for In Utero, in Tribute, in Entirety and “Drain You” in 2015 for Whatever Nevermind. Check out the streamed audio of the destructive “Love Buzz” and see the full album tracklist below.